A new Composite RCA to HDMI cable adapter that can be used to connect DVD, Blu-Ray Players, TV�s etc. 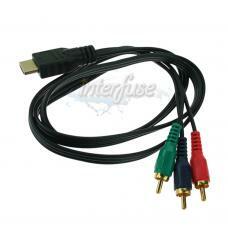 The cable is unidirectional to support RCA out to HDMI in. It does not work to convert analog signals to digital, in order to do this you need a converter box which can be found in our store.